They are a prominent, retail focused non-banking finance company (“NBFC”) primarily serving low and middle income individuals and businesses that have limited or no access to formal banking and finance channels. They operate in three business lines: vehicle finance; micro, small and medium enterprises (“MSMEs”) loans; and small and medium enterprises (“SMEs”) loans. The company has over 20 years of operating experience in rural and semi-urban markets of India and as of March 31, 2017, 146 of its 301 NBFC branches were located in such markets. The company has adopted a strategy of contiguous expansion across regions, which has enabled it to increase its customer base in the 10 states and one union territory. It has received a license from the RBI to set up a ‘small finance bank’ (“SFB”) on December 20, 2016 and it is the only NBFC categorized as an asset finance company to obtain such license. Going forward, it intends to expand and strengthen its business model by offering a diverse suite of banking products and services by leveraging its asset based lending strengths, existing customer base and cost efficient, technology driven hub-and-spoke branch operating model to create a successful new SFB. The Company believes that transitioning to an SFB will offer itself significant growth potential. It also intends to commence offering unsecured business loans and housing finance loans during the financial year 2018. The issue is an offer for sale, meaning previous shareholders are selling their holdings, therefore the company will not be receiving any funds of the issue. The Company has witness spectacular growth in its revenues @ 46.09% during past 5 years, have a look at snapshot of its 5 years revenue performance. During the same period its profits grew at the rate little over 60 %, indicating margin expansion and decent growth in EPS during the last 5 years. EPS for the year 2016 stood at 9.34, therefore the P.E at the upper band is 38x, one of its recently listed peers RBL bank quotes at a P.E of around 43 (highest) whereas Ujjavan Financial service quotes at a P.E of 18 (lowest). The Average P.E of all the peers stands around 30, indicating the company is demanding higher price, however excellent growth of the company in past compensates for the same. Approximately 56% of its overall portfolio is in the state of Rajasthan. This exposes AU SFB to the risks & rewards of being overly dependent on a single state. Deficient rainfall, unfavorable political environment, slowing state economy could impact its ability to grow and operate in that state. Also, top 20 borrowers account for 8.8% of its overall advances. Conversion to small finance banks involves multiple challenges such as complying with share holding norms, re-vamping the branch network, ability to manage liabilities and statutory requirements. This will require management that is far different than the one required for managing an NBFC. 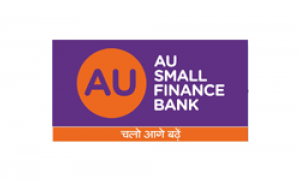 There is a risk and uncertainty about how AU will face various challenges which it shall encounter as a result of conversion into Small Finance Bank. Moreover, the issue too is priced on a higher side. Long term investors before investing should look out how company fares out for the upcoming 3 - 4 quarters. One can look into this IPO for listing gains but i would advise long term investors to sit back and watch out the company's performance for a while.